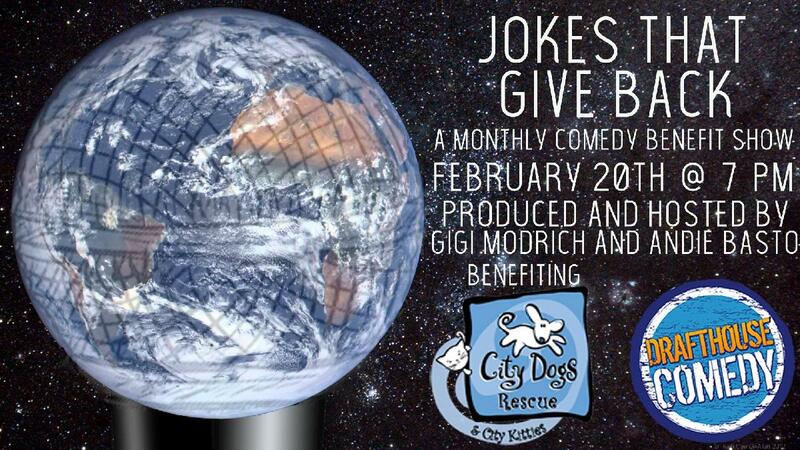 Comedians Andie Basto & Gigi Modrich present Jokes That Give Back! : a monthly stand-up comedy show dedicated to supporting charities in the DMV and beyond. This month's charity is City Dogs Rescue & City Kitties. City Dogs Rescue & City Kitties rescues dogs and cats from overcrowded and high-kill shelters, where resources are severely limited. They offer a lifeline to as many of these wonderful animals as possible. Sadly, many of the dogs and cats that CDR takes are just days - and sometimes hours - away from being euthanized for no reason other than lack of space. By finding these animals permanent and loving homes in the DC metropolitan area, CDR can enrich lives of both humans and their pets. We welcome help in any capacity, through volunteering, fostering, adopting and/or donating. To learn more, visit https://www.citydogsrescuedc.org/.